On February 8, 2012, the Supreme Court of Canada will hear two landmark cases on the issue of criminalisation of HIV non-disclosure in R v. Mabior and R v. DC. The Court’s decisions in these two appeal cases will have profound implications not only for people living with HIV, but also for Canadian public health, police practice and the criminal justice system. There has been a marked increase in the frequency and severity of criminal charges for HIV non-disclosure in Canada where more than 130 people living with HIV have been charged in less than 15 years. This includes numerous cases in which their activity posed no significant risk of HIV transmission. Simply put, this is a miscarriage of justice. The Canadian HIV/AIDS Legal Network is calling for signatories from international organisations and professionals working on issues related to HIV and public health and/or law to endorse the following statement by Wednesday, Feb 1st at 5:00 p.m. EST. 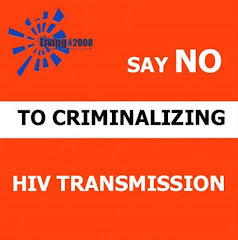 Monday, February 6, 2012 – Canadian criminal law requires people living with HIV to disclose their status before engaging in behaviour that involves a "significant risk" of transmitting the virus. Yet people have been charged, and convicted for not disclosing their status, even though their activity did not pose a significant risk of HIV transmission. This is a miscarriage of justice. Further, it has contributed to a climate marked by anxiety, fear, stigma and misinformation that undermines HIV counselling, education and prevention efforts. This puts all Canadians at greater risk. On February 8, the Supreme Court of Canada will hear two landmark cases on this important issue. We, the undersigned, respectfully ask that the Court use this opportunity to explicitly reconfirm that people living with HIV are not criminals in cases where the threshold of significant risk is not met – including cases where condoms are used or the HIV positive person was being successfully treated with antiretroviral drugs. We ask that the Court instruct lower courts that significant risk must be determined on the basis of the best available scientific evidence, not on assumptions, prejudice or fear. Finally, we call on the provincial and territorial Attorneys General to follow suit and adopt guidelines to limit prosecutions in cases of HIV non-disclosure. These prosecutions are not helpful in putting an end to this epidemic, and the radical over-extension of the criminal law is counter-productive and damaging. Please send your signature as you would like it to appear on the signatory list – including your name, organisation, title and geographic location – to info@aidslaw.ca. If your organisation will sign on in full, please indicate that as well and include the French translation of your organisation’s name if available. If you are an individual without an organisational affiliation or professional designation and you would like to also endorse this statement please do so to the email address above. For more information on criminalisation of HIV non-disclosure in Canada, please visit http://www.aidslaw.ca/stopcriminalization.